The first phase of the rehabilitation of the 3015 MW Nurek hydropower plant on the river Vakhsh in Tajikistan was officially launched on 20 March by the President of the Republic of Tajikistan, Emomali Rahmon, and the World Bank’s Director of Strategy and Operations for Europe and Central Asia, Mariam Sherman. Key representatives from the Government of Tajikistan, the World Bank, the Asian Infrastructure Investment Bank, the Eurasian Development Bank, and other international development institutions attended the inauguration ceremony. 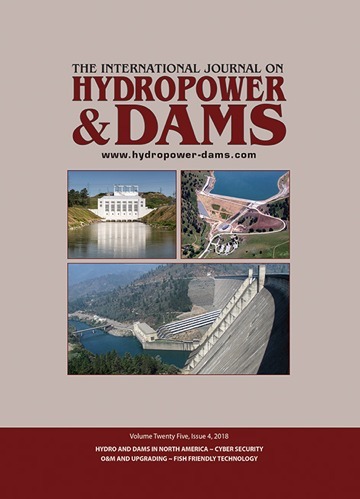 The rehabilitation project, which aims to restore the production and capacity of the plant, as well as increase dam safety, “will help ensure a reliable supply of electricity to people and local enterprises in the cold season, and enable increased export of electricity in the summer months”, according to the World Bank. The first phase of the rehabilitation work, which is expected to be completed within 36 months, is co-financed by the World Bank, the Asian Infrastructure Investment Bankand the Eurasian Development Bank. Commissioned in 1972, Nurek is the cornerstone of the Tajik power generation system, meeting around 70 per cent of national power demand. At present the plant is operating at 77 per cent of its installed capacity as the units cannot operate at their rated capacity as a result of ageing and lack of maintenance of key equipment and infrastructural components. Andritz was awarded a €120 million contract in August 2018 to modernize the plant’s entire electro-mechanical equipment including the supply and installation of new 380 MW Francis turbines and generators, new transformers, as well as electrical and mechanical auxiliary equipment within the powerhouse and the inspection and repair of all nine penstocks The project is expected to increase the available capacity of all nine units by up to 12 per cent over the current level. “Once completed, the rehabilitation will increase winter generation by 33 million kWh, which is central to the Government’s efforts to ensure that energy demand can be met even during the coldest months. 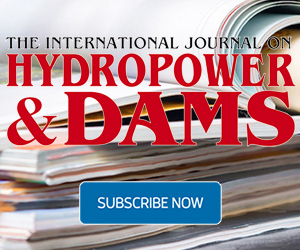 During the summer months, Tajikistan could expand electricity exports from its hydro resources, including through the CASA-1000 transmission line, and generate much-needed additional revenues for the power sector,” it said. The first phase of the plant’s rehabilitation will cost around US$ 325 million. In addition to the World Bank’s financing of US$ 226 million, funding is being provided by the Asian Infrastructure Investment Bank (US$ 60 million) and the Eurasian Development Bank (US$ 40 million). During the first phase, three generating units will be rehabilitated, dam safety will be enhanced, with a special focus on protection against seismic hazards and floods, and six auto-transformers used to regulate voltage will be replaced. In addition, the institutional capacity of Barqi Tojik will be strengthened and its operational and financial performance will be enhanced. Development partners, led by the World Bank, are starting the preparation of the second phase of the Nurek rehabilitation project, estimated at US$ 180 million, to commence in 2020. The 183 MW Isimba hydropower plant and dam on the Victoria Nile in southern Uganda was officially commissioned by President Museveni at a ceremony held on 21 March.